I absolutely adore British biopics. I find they tend to be much more sincere and handled with better care than typical Hollywood historical productions. The story (and its authenticity) always feels like its the most important thing and the sensationalism and exaggeration of cinema seem to take a back seat. This is clearly evident in The King’s Speech and I love this movie for that but also for discussing an issue extremely close to my heart (or should I say mouth?). 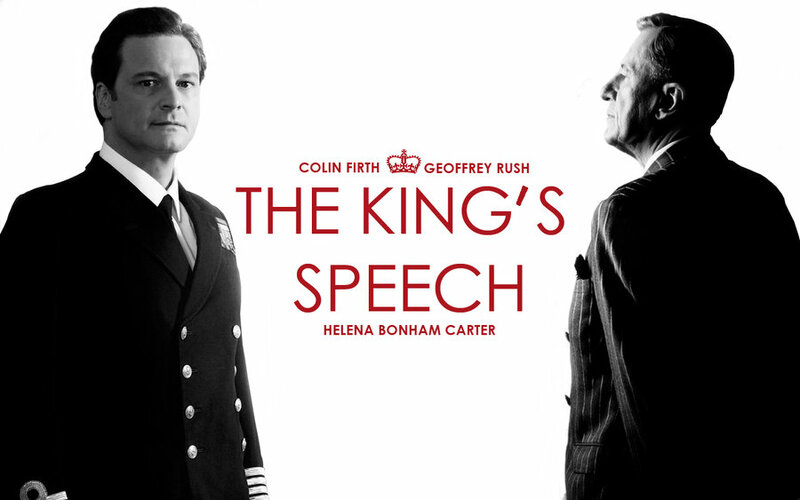 Okay, basic plot: Prince Albert (Collin Firth) second son of King George V struggles with a stammer. He has seen countless speech therapists in an attempt to cure his speech impediment but to no avail. With his father ill, his older brother skirting on his royal responsibilities and an impending war with Nazi Germany looming closer and closer; there is an increased need for Albert to address the nation and speak with fluency. Albert’s wife – Elizabeth (Helena Bonham Carter) – hires Lionel Logue, a speech therapist with rather unorthodox methods, to treat her husband. Prince Albert and Lionel begin a friendship that helps give Albert the necessary confidence and skill not only to rule and address England but also to find his voice. 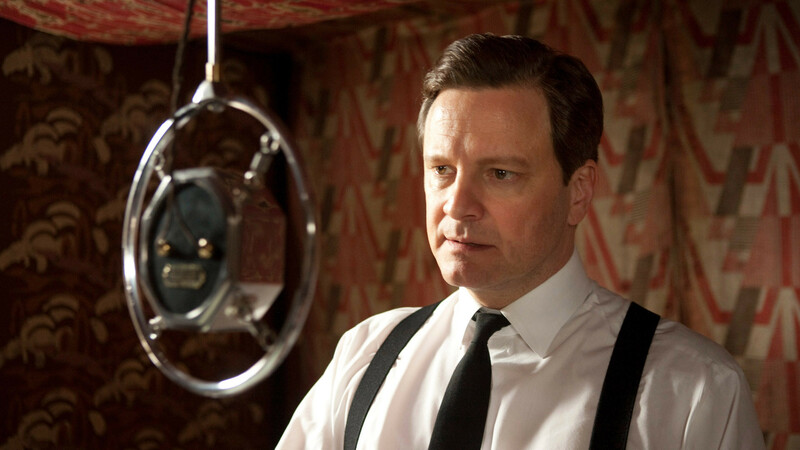 As someone who stutters, I have to give this film, it’s filmmakers and, in particular, Collin Firth enormous praise for their accurate and chilling depiction of what it’s like living with a speech defect. I remember the first time I watched this movie and the first time I saw Collin Firth’s character stuttering – I was transfixed. Firth completely nails every aspect of it. It’s not just the speech pattern necessary to convey the defect that Firth so accurately depicts, it’s the look of humiliation, the shame in his eyes, Both Firth and screenwriter – David Seidler – completely understood how something as simple as a speech defect infiltrates every part of your life and corrupts your whole view on the world. I might sound like I’m being overly dramatic here but trust me when I say that it can be a living hell at times. And that’s what I loved about this movie, it put on screen what I’ve felt my entire life. All the insecurity, the self-doubt, the self-loathing that I have felt, that I still feel was perfectly mirrored in Firth’s performance. I can’t praise Collin Firth’s marvelous acting and David Seidler’s entrancing script without also taking time to praise Tom Hooper’s wonderful work as director of this film. In high school, a component of our English studies was film study. It was nothing too intense or technical but what I learnt in it changed the way I watched movies forever. Just learning how a director choosing to shot a person from above conveys a completely different message to the audience than if he or she had chosen to shoot the exact same scene from below. I think this film would be a great subject for film study because of Hooper’s insightful use of camera angles. There are multiple shots of Prince Albert where the character is not only off-centre but almost completely in one corner of the screen. This gives the audience such great insight into Albert’s lack of self-worth. He believes he doesn’t deserve to be the star or the centre of attention and thinks he should be shoved off to the side for someone more worthy. Hooper also uses wide camera lenses which often make Albert look small in comparison to the world around him which further gives insight into this character. I think we often take directors for granted, relegating them to faceless figures who merely scream “action” but with his work in this film, Hooper shows the effect a director’s vision can have on a story. 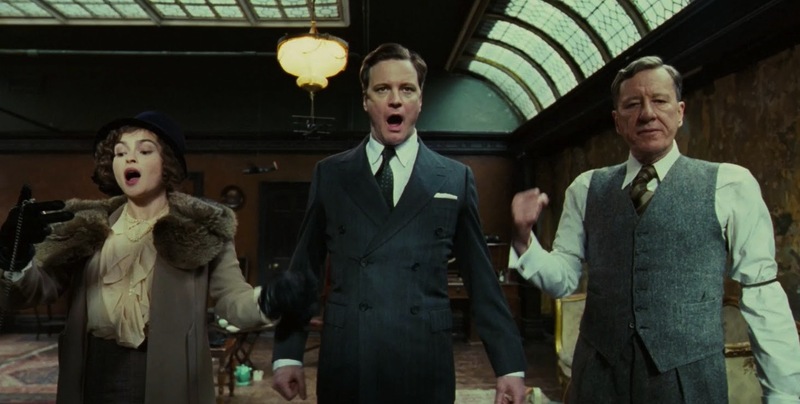 Along with Firth’s extraordinary performance, the rest of the acting in this movie is top class. Geoffrey Rush who stars as Lionel Logue brings a great sense of charm and mischief to his character that really helps him stand apart. Helena Bonham Carter has a great fiesty energy and sympathetic spirit and really does well with limited screen time. Notable actors like Michael Gambon and Guy Pearce help make out the rest of the supporting cast and, honestly, everybody puts in solid, consistent performances and bring their characters to life with great skill. The company of actors also have great chemistry and their interactions always felt genuine instead of staged. There are parts in the movie where things drag and nothing much is really happening. I also felt Albert’s relationship with his older brother David was rather underdeveloped. The film’s depiction of their relationship felt like a passing reference rather than a substantial segment of the film’s story. But these are very small gripes in a film that has quality in spades. You picked a good one. My wife and I enjoyed this movie, and I agree about the quality of the acting. I like, not love this one. Those spots where it drags is one of the main reasons why I don’t. Just too many of them. Solid film, though. Yeah, I totally agree about the parts where it drags. If it didn’t have such a personal connection with it, it definitely would have gotten a lower score.